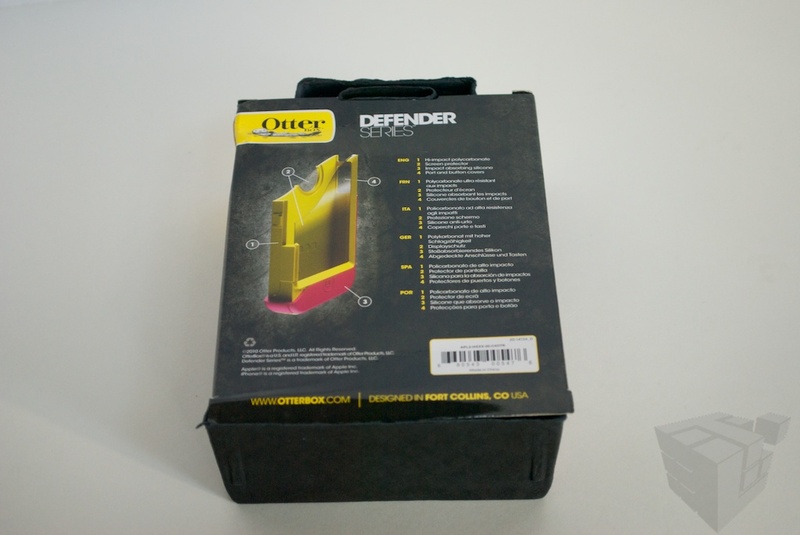 We are back again with Otterbox and their Defender Series case for iPhone 4. The Defender is their most rugged case, and comes complete with a belt clip for those with small pockets. It’s big, sturdy, and has a built-in membrane to protect the screen, so you don’t have to worry about applying a sticky one. Lets check out the Defender, and see how it compares to the weaker Commuter. Just by holding the box I knew I was in for a tough case. It’s significantly heavier. As I opened the box, I realized that most of the new weight is the belt clip. The belt clip is a solid piece of thick plastic. 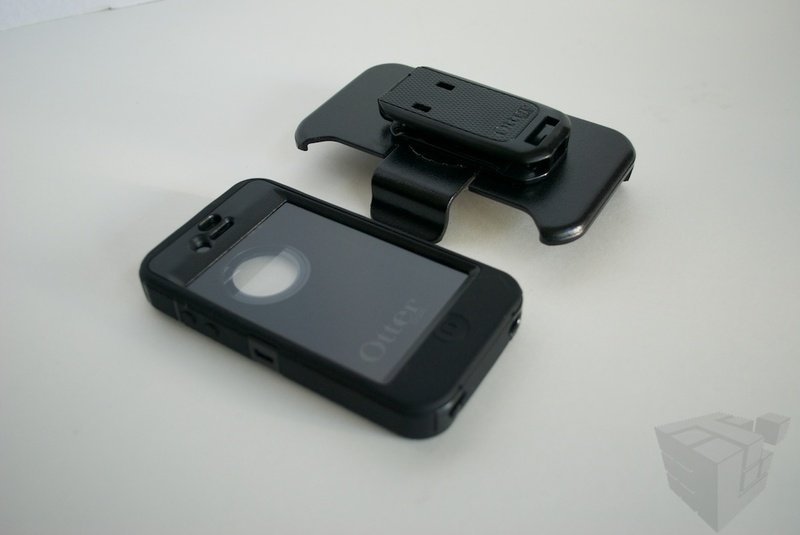 The belt clip can rotate, so you can holster your phone vertically or horizontally; the clip itself requires a lot of effort to rotate, so you don’t have to worry about it rotating out of place. The case itself caught me off guard. 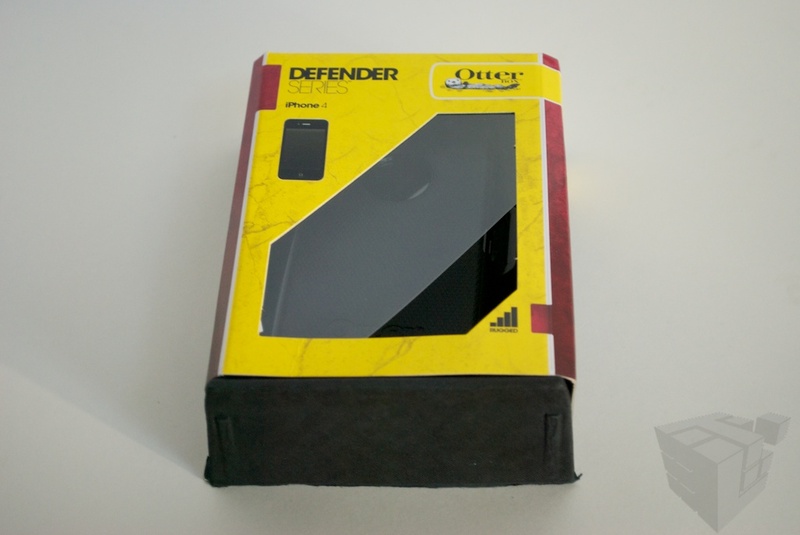 I had never used one of the OtterBox’s Defenders, so I wasn’t familiar with it’s composition. The case is made of a thinner, but sturdily constructed inner plastic case lined with felt to help protect your phone. This case snaps together with three big clips. It’s almost a case on it’s own. This inner case also has a clear protective membrane screen protector, so you don’t have to worry about air bubbles under your screen. Next, the inner plastic case is wrapped with a textured rubbery silicon cover. Once assembled, the Defender is a very solid case. I found out that my friend actually has the previous Defender on his iPhone 3Gs, so I asked him if I could look at it (sorry, I wasn’t able to get pics). In terms of construction they are almost the same, but flat design of the iPhone 4 makes the new one a lot sleeker and less bulky. Also, the belt clip on the new one is made of what feels like a thicker plastic and is slightly textures. The new one also has two points for clipping into the belt clip, so you don’t have to think as much when putting it together. Overall, I’d say the new Defender is less bulky and more comfortable to use than it’s predecessor. When comparing it to the less rugged OtterBox Commuter, the Defender is a little bit wider, and a little bit thicker. It’s very noticeable in use, but when side by side it’s not as apparent. Installation is just like I said above. Two part internal case, with a peal on silicon exterior case. I used the Defender for about 1.5 weeks before writing this review. Overall, It was a comfortable case to use. It was bulky, but it’s solid square design gave me something to hold onto. The built-in screen protection didn’t hinder use, though it’s not 100% transparent, and picture quality was slightly reduced (text on the retina display was still nice and clear, though). I also did away with the belt clip after two days. The added bulk just wasn’t for me, though I could see it’s use and deem it a reliable case…..case. Removing the the case from the belt clip isn’t easy, but it isn’t hard. This is good. I never thought that my phone was going to fall out of the belt clip. At first I had trouble removing the phone from the clip to the point of it flinging out of your hand when it is removed. Luckily, this sort of behavior seems to go away with a little practice. Also, the inner case prevents large bodied headphone jacks to be inserted properly, preventing me from using my Sony 7506 headphones with my iPhone 4. The Defender is also kinda light once you do away with the belt clip. 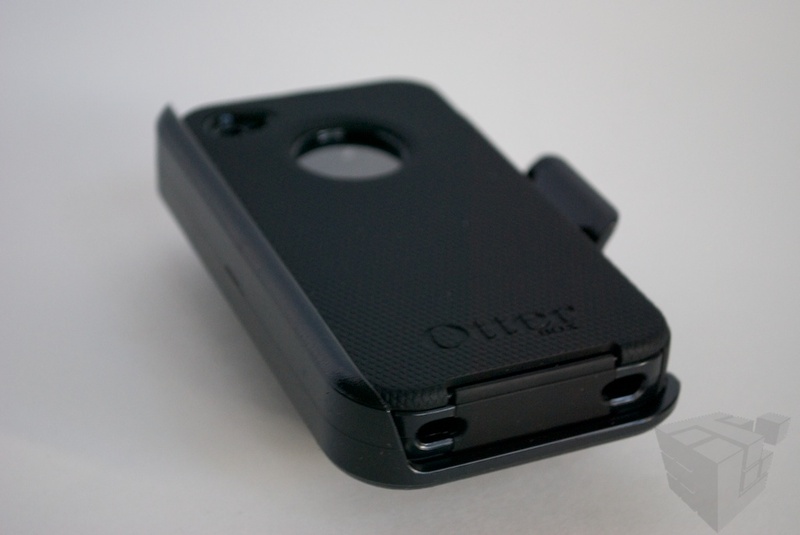 Overall, the Otterbox Defender Series for iPhone 4 is a great case. It’s very rugged, and in no way did I feel scared that my phone would be damaged in a fall. The only complaints I have with this case involve the built in screen. Because the case has almost no openings, very fine bits of dust and debris can make it’s way in from the headphone opening and the port flaps and stayed there. If any of this gets on your screen, you have to take the entire thing apart just to remove a speck of dust under your screen. The other issue I had was reduced color quality due to the screen. The membrane makes the beautiful retina display appear slightly washed out. I usually watch a little bit of Netflix on my iPhone 4 when I’m not at home and the picture quality was notably different with the case; almost like a slight blur. Keep in mind though, I’m very picky when it comes to picture quality. Many people might not even notice this. If you are looking for a very rugged case to protect your iPhone 4, then I definitely recommend this case. If you don’t need/want this level of protection, but still want a rugged case, check out the OtterBox Commuter Series for iPhone 4 which I reviewed about a month ago, and is the one I’m currently using. My otterbox case back belt clip broke and the outside ruber case starter coming apart i went back to verizon and they stated they sell them but do not replace them if they brake so i had to pay another $50.00 the type of iphone (4) is ther a 1-800 number for your company to call about this.